IN NEW YORK WE HAVE MURDERS TOO, WITHOUT THE BENEFITS OF GHOULS AND GOBLINS! 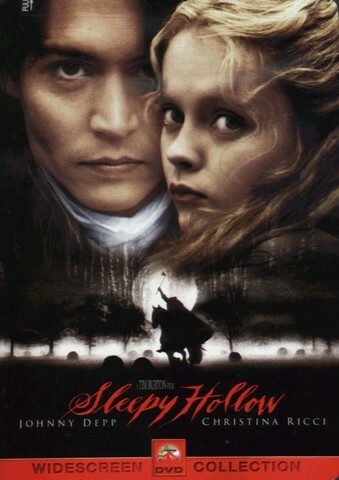 Tim Burton have with Sleepy Hollow brought us an incredible entertaining and stylistic movie. The atmosphere rules, and Johnny Depp is very good as Ichabod Crane, - an investigator who is very earthly and scientific, but also a bit of a wuz. in with the visual look combined with Danny Elfman`s hunting score. You won`t find one boring moment, and this movie is watchable over and over again. The anamorphic transfer is astonishing, and the sound rocks big time. This dvd also have great extra features, so it is a sure buy. I loved this movie. 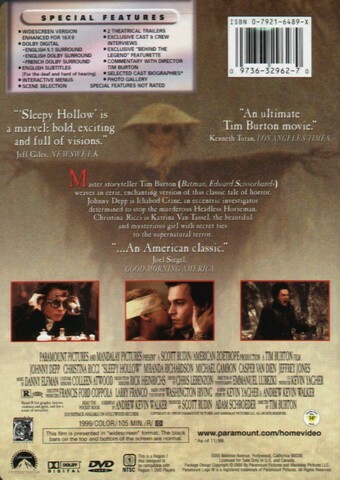 Sleepy Hollow gets a 6.